by Sandra Stuart. 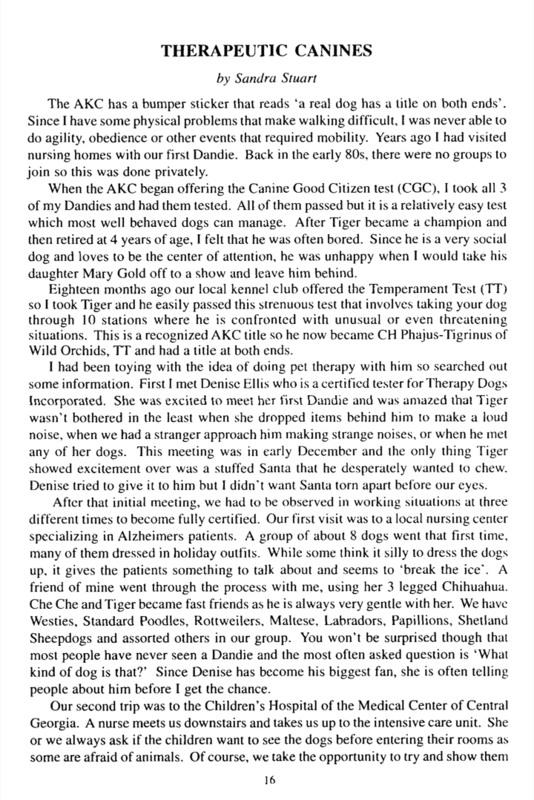 The AKC has a bumper sticker that reads 'a real dog has a title on both ends'. Since I have some physical problems that make walking difficult, I was never able to do agility, obedience or other events that required mobility. 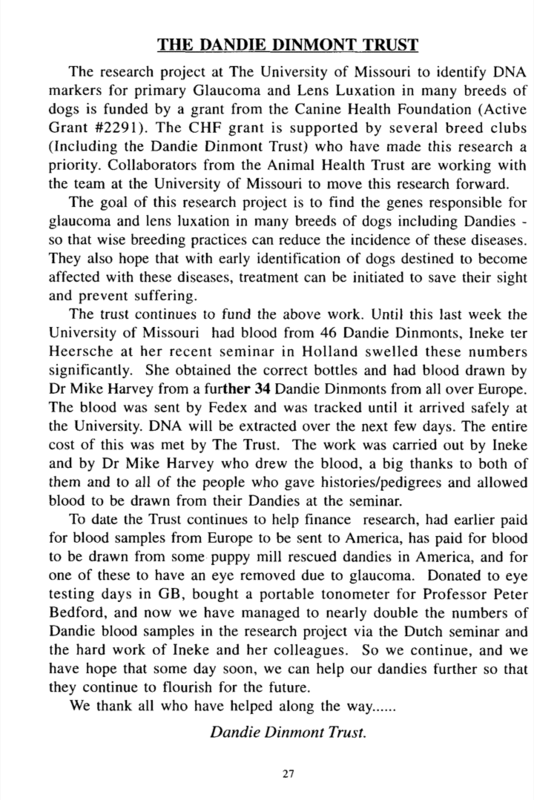 The research project at The University of Missouri to identify DNA markers for primary Glaucoma and Lens Luxation in many breeds of dogs is funded by a grant from the Canine Health Foundation. by Audrey Heaton. 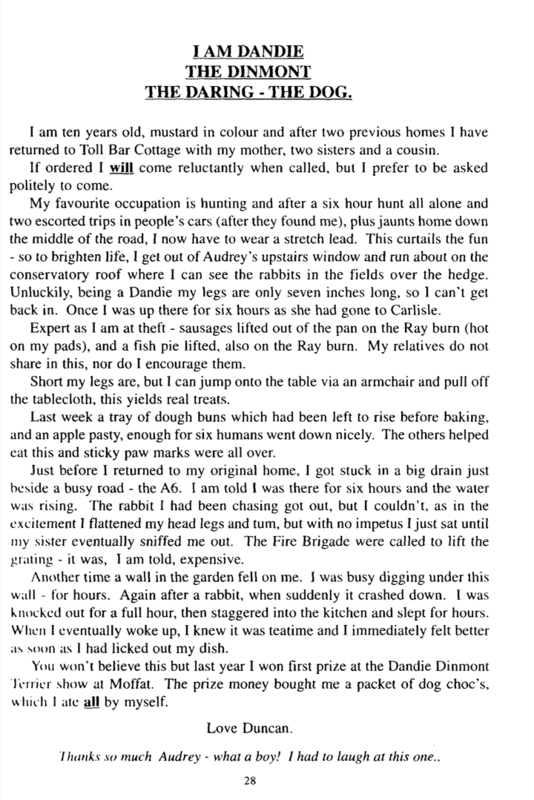 I am ten years old, mustard in colour and after two previous homes I have returned to Toll Bar Cottage with my mother, two sisters and a cousin. by Mr R F Jarman. 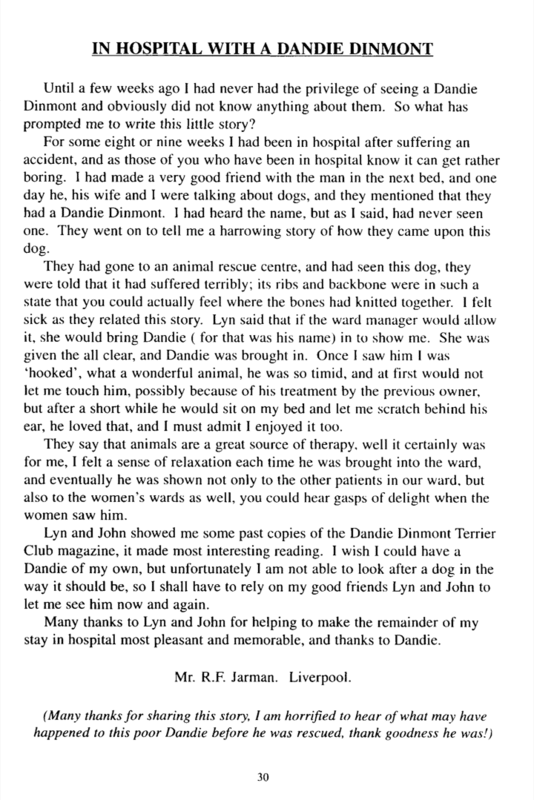 Until a few weeks ago I had never had the privilege of seeing a Dandie Dinmont and obviously did not know anything about them. So what has prompted me to write this little story? This postcard was bought by Enid Gibson in an antique shop in Accrington. 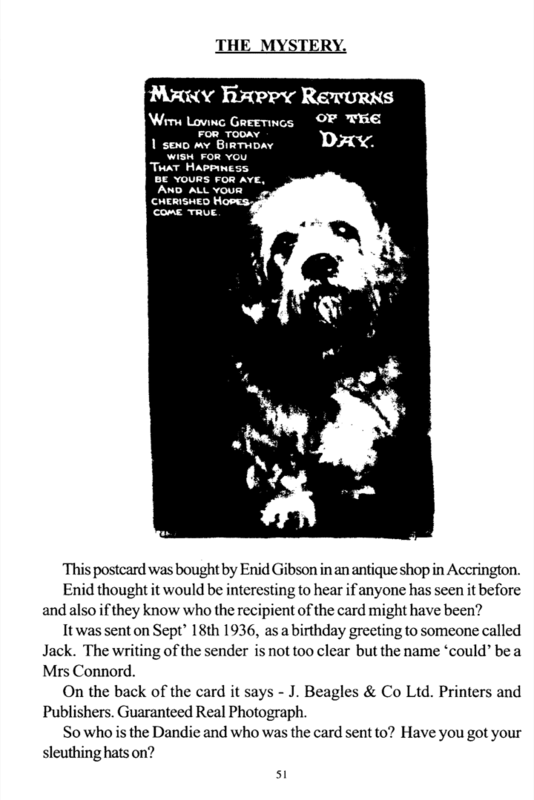 Enid thought it would be interesting to hear if anyone has seen it before and also if they know who the recipient of the card might have been?